1. It’s warmer than you think. Not only does Vancouver Island’s Victoria get 30% less rainfall than Seattle, it has a 60° Fahrenheit year-round average temperature. A typical July day in Winnipeg sees temps around 80°F, while in Calgary the summer norm is 73°F. There are deserts here too, like BC’s Osoyoos, where the dry shrub grassland is one of North America’s most fragile ecosystems. Visit the Osoyoos Desert Centre, or walk the interpretive trails at the Nk’Mip Desert Cultural Centre, to see firsthand how the plants and animals depend on each other. 2. Canada’s home to the oldest brewery in North America (and tons of new ones). Molson Coors Canada, founded in 1786 in Montreal, continues to produce beer on the site of the original brewery, but Canada’s also been all over the craft brew scene for years. Vancouver Craft Beer Week (May 27- June 5) will host over a hundred breweries and cideries from across North America; there’ll also be a beer-garden-style festival with live bands playing three stages. 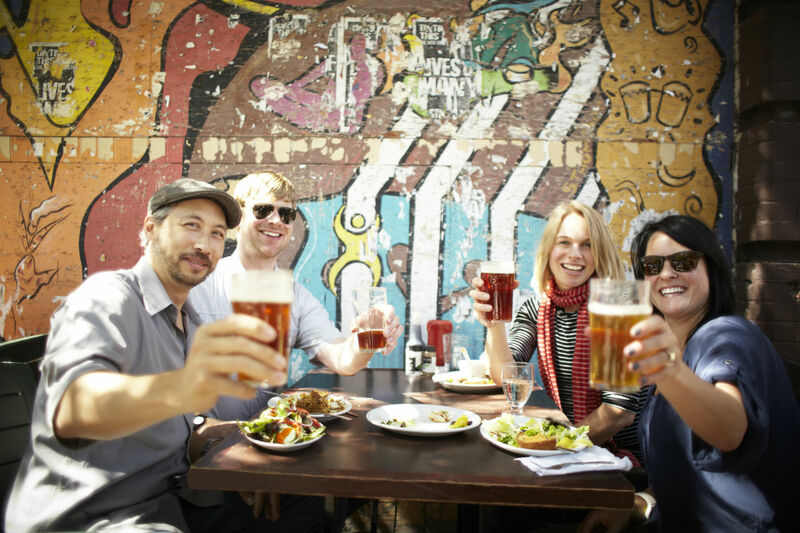 Montreal (June 8-12) and Toronto (July 22-24) host gigantic beer festivals every summer, too. 3. 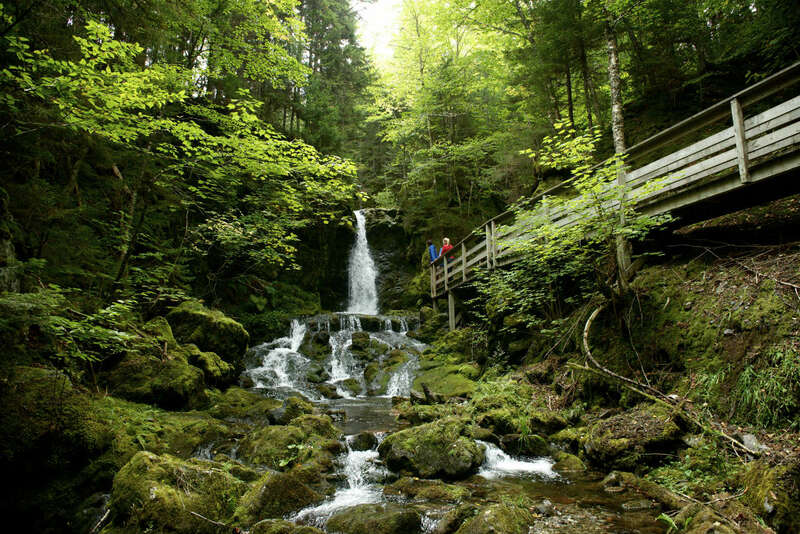 Canada has more than 200 national parks, world heritage sites, and national historic sites. We’re not kidding. There are 46 national parks, 16 UNESCO World Heritage Sites, and 168 National Historic Sites across the country. To celebrate Canada’s 150th birthday in 2017, buy a Parks Canada Discovery Pass this year and it’ll give you unlimited access to the country’s national parks, historic sites, and marine conservation areas for 24 months from the date you buy it. What you choose to see with your pass is up to you. How about sailing into a 485,000,000-year-old fjord and beneath a 2,000ft waterfall in Newfoundland and Labrador’s Gros Morne National Park? 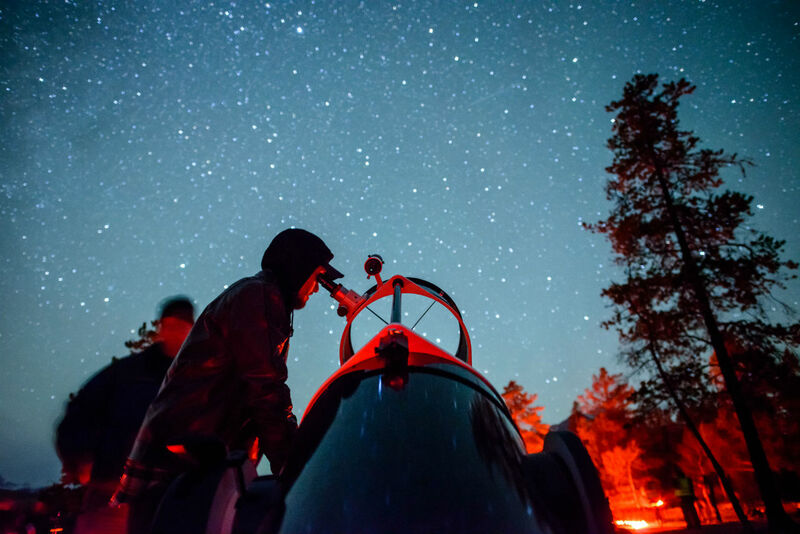 Or maybe heading to the Dark Sky Festival in Alberta’s Jasper National Park? In previous years, astronaut Chris Hadfield has turned up (yep, the guy who recorded David Bowie’s “Space Oddity” in space). 4. The country has so much going on it needs six time zones to fit it all. Newfoundland Time Zone is only a half hour off from Eastern Time, but still… And Canada doesn’t just stretch from Pacific to Atlantic, it’s tall, running 2,873 miles from the US border to Cape Columbia at 83° north. Summer in the higher latitudes means Canada can happily vie with Norway and Sweden for the “Land of the Midnight Sun” title. 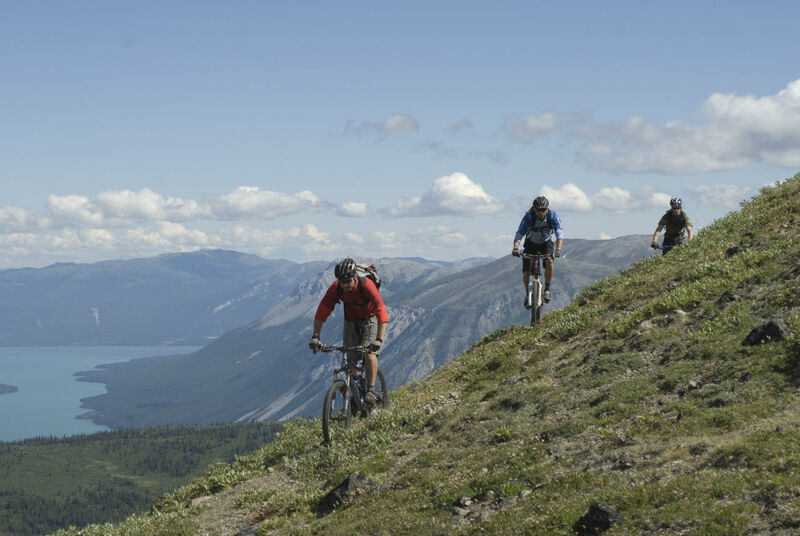 Make the most of those unending sunny days with a Summer Solstice eco-yurt and biking adventure in the Yukon — just imagine the amount of wilderness mountain biking, hiking, and paddling you can do with 20 hours of daylight. 5. About 75% of Canada’s population lives within 100 miles of the US border. No wonder we have so much in common…and no wonder there’s so much to do right across the border. 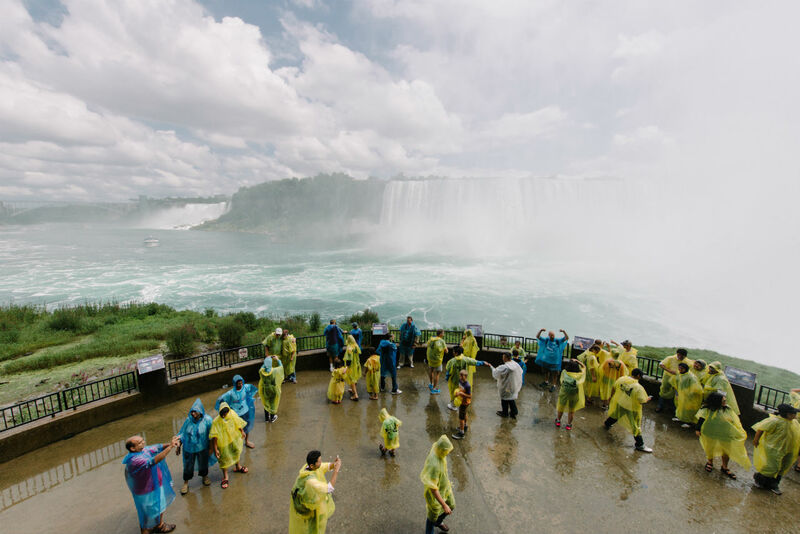 As of this summer, you’ll be able to zipline for 2,200 feet in front of Niagara Falls in Ontario. In the Saskatchewan prairies, saddle up on a century-old working heritage ranch in Cypress Hills Provincial Park, and in Alberta take part in the ultimate Canadian activity — learning how to play hockey with elite junior-league coaches and former NHL players at Pinnacle Hockey in Canmore. 6. 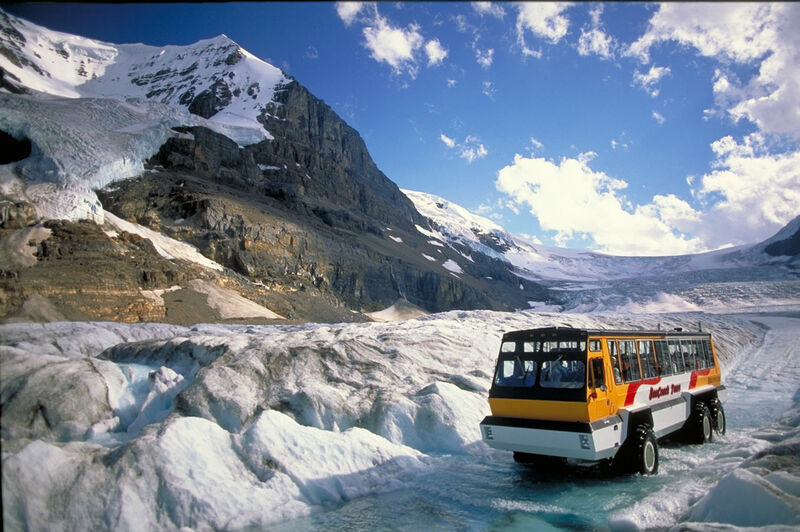 Athabasca is the most-visited glacier in North America. This vast glacier of blueish grey ice spills from the Columbia Icefield on the border between Alberta and British Columbia. Driving on the Athabasca in an ice bus while surrounded by mountains carved by ancient ice flows is an amazing feeling, a reminder that the green valleys now home to the nearby buzzing mountain towns of Banff and Jasper were once filled with glaciers just like this one. The drive to reach the glacier is also unreal — the scenic Icefields Parkway winds for 144 miles past alpine lakes, valleys, glaciers, and nearly three quarters of Banff and Jasper National Parks’ highest peaks. Russia may have beat Canada to the punch as biggest country on Earth, but Canada has way more water. Spin a globe and take a closer look at the province of Manitoba, for example. It’s practically more lakes than land. In fact, 8.93% of Canada is covered in water, and Canadian Rockies national parks, like BC’s Yoho, are studded with brilliant blue lakes and rivers where paddleboarders journey along ancient Indigenous routes. 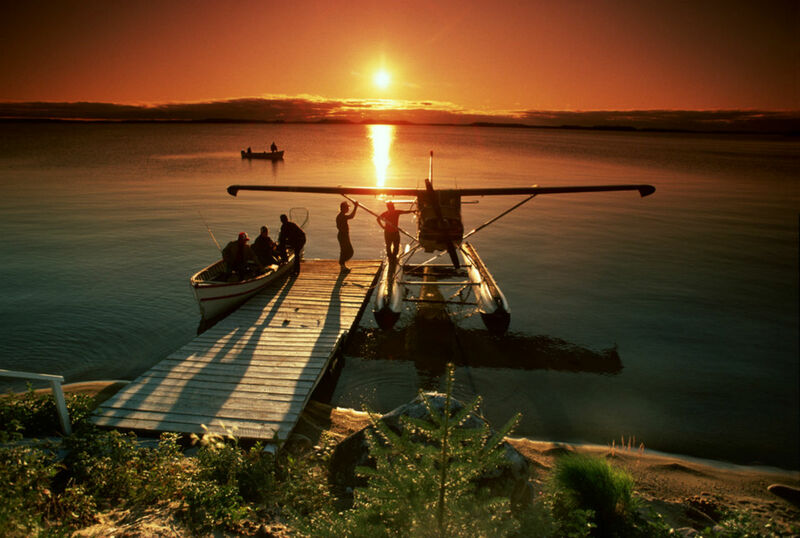 Ontario shares four of the five Great Lakes with the US — its rivers, like the Madawaska, are the stuff of canoeing, kayaking, and rafting legend. And an hour from Ottawa, Canada’s capital, the natural rapids on the city’s namesake river aren’t just for rafting; you can also spot wildlife and learn the stories of the voyagers and loggers who first plied these waters. 8. …and the purest tap water in the world. Pick a province — British Columbia in the west or Ontario to the east — and the stat remains the same. Clearbrook, in BC’s Fraser Valley, just placed “best in the world” for its tap water in the Berkeley Springs International Water Tasting, and the tiny village of Elmvale, north of Toronto, has water that contains less lead than the Arctic’s cleanest ice layers. The air is as clean as it gets, too. Lake Louise and Banff National Park’s mountain air even gets bottled and sold to international customers for $20 a pop. What are you breathing? 9. Canada has the longest freshwater beach on Earth (and plenty of seacoast as well). 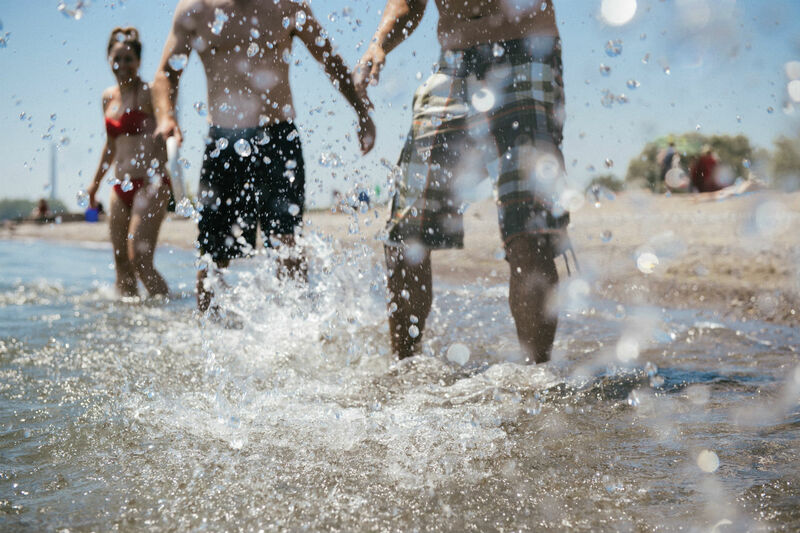 Three ocean coastlines and a ton of islands and lakes mean Canada has plenty of sand. A couple of hours from Toronto, Wasaga Beach stretches for 8.7 miles along the southern shores of Georgian Bay, while over in the Maritimes, Prince Edward Island is practically synonymous with beaches. It even has one where the quartz sand sings (okay, some say squeaks) as you walk. In Canada, there’s sand even when you’re 1,071 miles from the ocean. At Athabasca Sand Dunes Provincial Wilderness Park in Saskatchewan, there are more than 60 miles of 8,000-year-old sand dunes. They’re the most northerly expanse of active dunes on the planet, and prime habitat for a fragile ecosystem of wildlife and plant species — like felt-leaved willow — found nowhere else in the world. A vast and unreachable wilderness? That’s only true in Jack London stories; and fun fact: London was writing from San Francisco back in the late 19th century. The pioneer days are long gone. 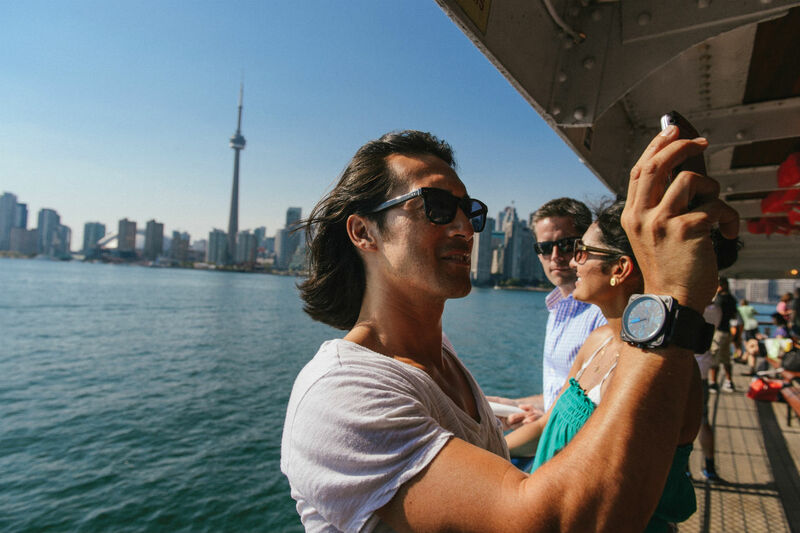 More than 1,400 airports connect visitors across the country every day, meaning you can explore whichever part of Canada you like. Want to see polar bears in Churchill and visit Quebec’s vineyards all in one vacation? Totally possible. If you fly into Vancouver, you’ll be landing in the best airport in North America. 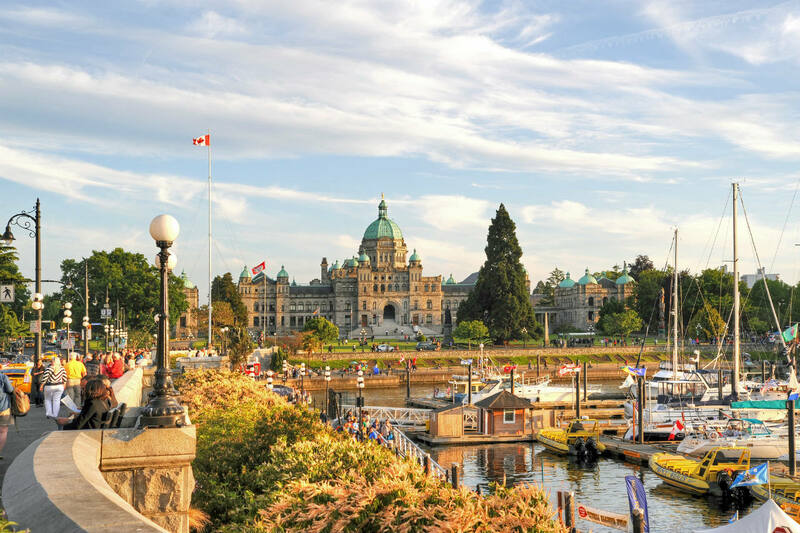 From there you can easily explore BC’s gorgeous coast: Harbour Air floatplanes (the world’s largest all-seaplane airline) services 11 cities, towns, and villages fringing the Pacific Ocean. 11. 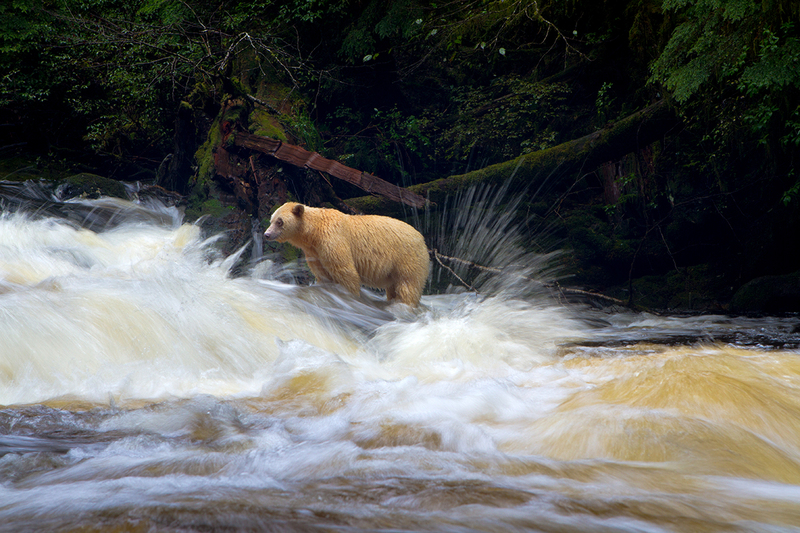 …including the largest intact coastal temperate rainforest in the world, where you can see spirit bears. Spirit bears — awesome name, awesome animal. A black bear subspecies that lives along BC’s coast, one in 10 are white or cream colored. But they’re not albinos, and they’re no more related to polar bears than normal black bears; their color is actually due to a double recessive gene. Spirit bears hold an important place in the oral traditions of the indigenous peoples of the area — go in search of them with Kitasoo/Xai’xais First Nations in Bella Bella. One of the best ways to see Canada is through the generations of knowledge its First Nations peoples hold. Aboriginal Canada details some of the cool experiences you can have with indigenous communities across the country, like immersing yourself in Quebec’s Manawan-Atikamekw First Nations Culture and living for three days as they’ve lived for centuries. 12. It’s home to some of the best surf towns on Earth. 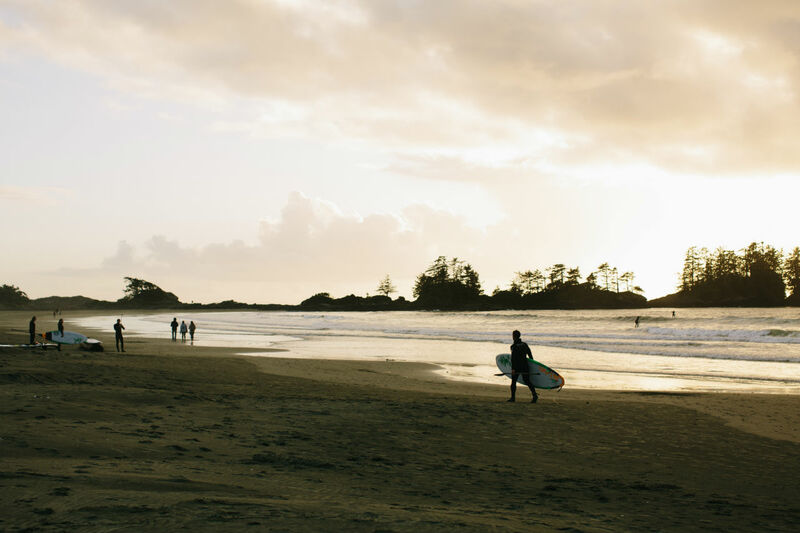 Vancouver Island’s Tofino is where the pros go year-round for 21 miles of surfable beach break. No wonder National Geographic placed it in the World’s 20 Best Surf Towns. And the waves aren’t just epic on Canada’s Pacific coast. Nova Scotia draws surfers to the Maritimes from August through November, and even in the middle of Montreal you’ll find urban surfers catching breaks at the Lachine Rapids on the St. Lawrence River. To be fair, they have a point. Ryan Gosling, Ryan Reynolds, Rachel McAdams, Seth Rogen, Michael Cera, Jim Carrey, Anna Paquin, and so many more are all Canadian. And they haven’t all left for Hollywood. Rachel McAdams prefers Toronto to LA. Speaking of which, the Toronto International Film Festival (September 8-18, 2016) is one of the most prestigious festivals of its kind in the world, with Academy Award Best Pictures like The King’s Speech and Argo getting their premieres here. 14. …and the literary scene can’t be beat. Nobel Prize winner and short story writer Alice Munro is Ontario born and raised. Life of Pi‘s Yann Martel lives in Saskatchewan. Then there’s Torontonian novelist Joseph Boyden, who writes about First Nations culture and heritage, and — of course — the prolific Man Booker prize winner Margaret Atwood. She lives near the University of Toronto. Head to the Vancouver Writers Fest in October for one of North America’s biggest annual literary events. 15. Toronto Pride is one of the biggest festivals of its kind anywhere. The fourth-largest city in North America, Toronto ranked seventh on The New York Times‘ list of 52 must-visit places for 2016, and it’s getting ready for a hugely progressive year. 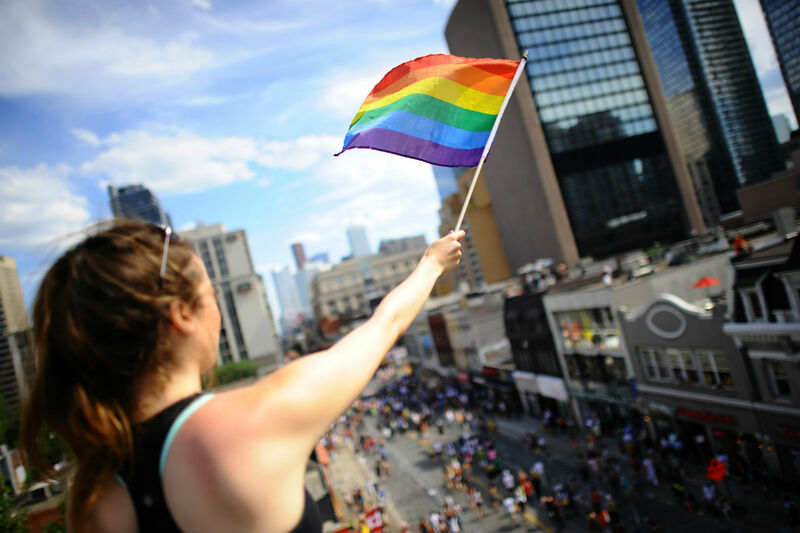 The 2016 Pride Toronto Festival (June 24-July 3) is set to be part of the first ever “Pride Month” in Canada. It’ll begin with the raising of the Rainbow flag at Toronto City Hall, and on July 3 Pride Toronto will make Canadian history, as it’ll be the first time a sitting Prime Minister will take part in the Pride Parade. Go Trudeau. Go Toronto. Go Canada. This post is proudly produced in partnership with Destination Canada.